A family owned business with a large collection of designer jewelry. 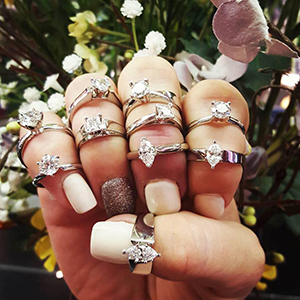 Come visit our showroom and explore our wide variety of necklaces, earrings, rings and more. Our showroom features gold, diamonds, gemstones and more plus beautiful pieces from designers such as Allison Kaufman, Bulova, Movado, Rolex and others. 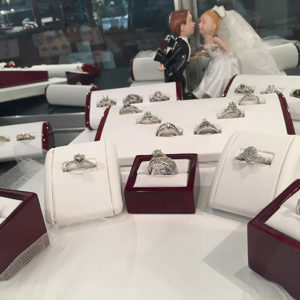 Our expert jeweler boasts over 30 years of experience, making him one of the best jewelry artist in the Detroit Metro Area. If you’re looking to design a custom piece for the special person in your life, Garner’s and our talented jeweler are excited to help bring you design to life. Call or visit our Taylor store to discuss your custom piece. Our in house jeweler utilizes laser technology for intricate repair and fabrication. This technique provides a 260 times stronger solder than standard repairs. Visit our store for all your jewelry and watch repairs!